Dementia is now the 2nd leading cause of death in Australia with approximately 60,000 new cases each year. The Clinical Practice Guidelines and Principles of Care for People with Dementia (the Guidelines) provide health professionals and care workers with evidence-based recommendations about the care of people living with dementia and those being investigated for the possibility of dementia. The Guidelines were developed by the National Health and Medical Research Council’s Cognitive Decline Partnership Centre. 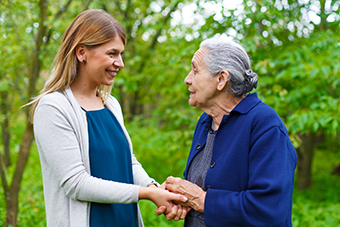 A consumer companion guide has also been developed to complement the clinical guidelines to help consumers to be informed when being investigated or treated for dementia. For consumers: Diagnosis, treatment and care for people with dementia: A consumer companion guide to the Clinical Practice Guidelines and Principles of Care for People with Dementia. For clinical management, local service and referral information refer to Sydney North HealthPathways.